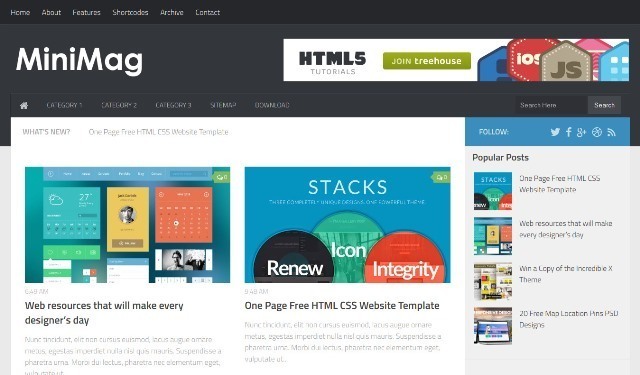 Best Free Responsive Blogger Templates 2015. Suitable for magazines, personal blogs, news blog, portfolio, business, entertainment and more. 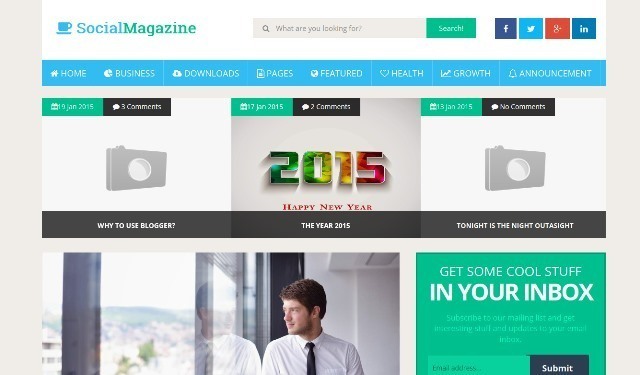 MiniMag is a simple Clean, Personal, Modern and fully responsive blogger template. Suitable for all kinds of magazines, Design share websites, personal blogs, journal, story and other related projects, with an emphasis on mixed media and typography. Features are Fully Responsive Design, Auto resize thumbnail image, Optimize SEO, Ads Ready, Related post widget Ready, Threaded Comment, Custom Error 404 Page and more. 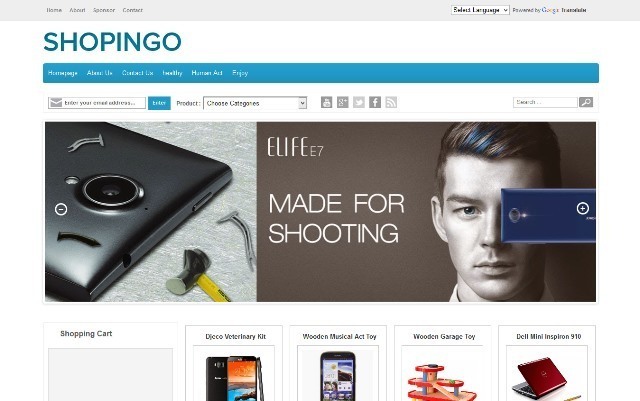 Shopingo is a perfect eCommerce solution for small business owners to quickly setup an online shopping store within minutes and start selling their products with ease. It looks like premium template. Features are Responsive, SEO Friendly, Ads Ready, Clean Layout, 4 Column Footer, Social Sharing, Slider, Browser Compatibility and more. 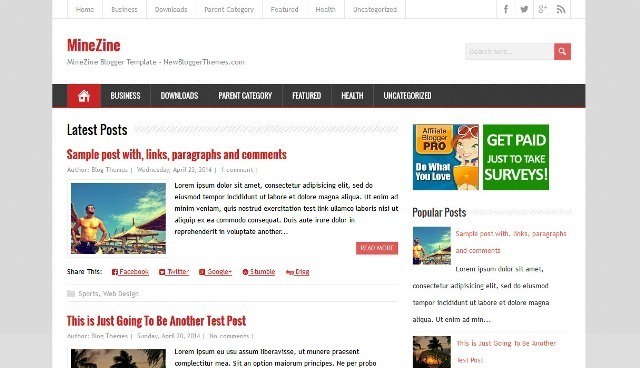 Newsline Responsive Blogger Template is a stylish news free blogger template. 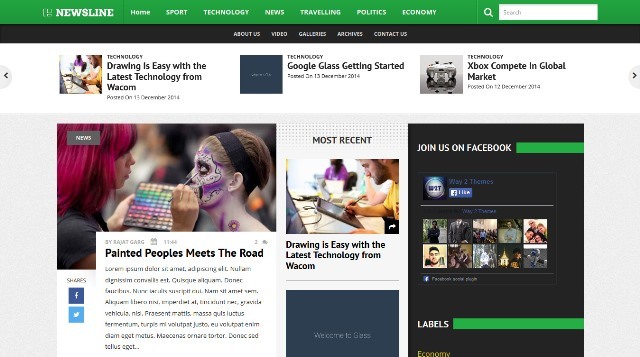 Newsline is a completely responsive blogger template which is suitable for Tech, News, Multimedia niche. Features are Responsive, Search Engine Optimized, Featured News, Ads ready, Stylish Menu, Social Icons, Social share Buttons and Threaded commenting system. 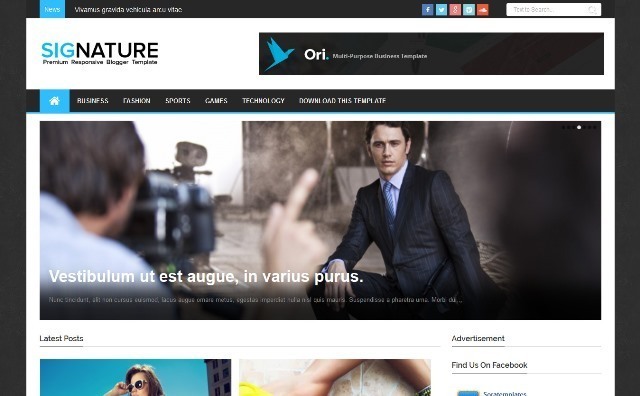 Flavour is a Responsive Blogger Template. Flavour Template has Responsive, SEO Friendly, Ads Ready, Minimalistic, Stylish Look, Clean Layout, Social Sharing, Browser Compatibility and more. 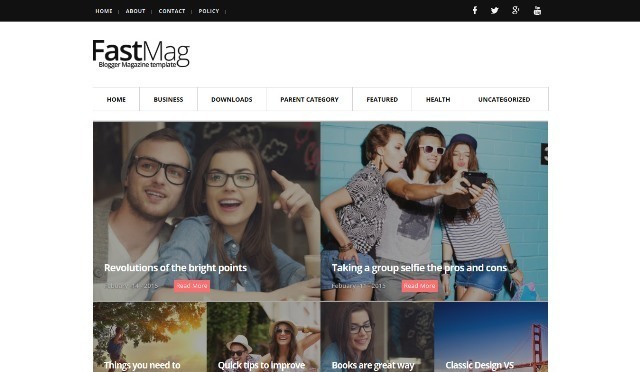 Outfit is an clean & Minimalistic Blogger Template which brings responsive design. It’s ideal for blogging. Features are Fully Responsive Design, Advance Search Engine Optimization, Grid style thumbnail image, Auto resize thumbnail image, Ads Ready, Threaded Comment, Compatible with major browsers and more. 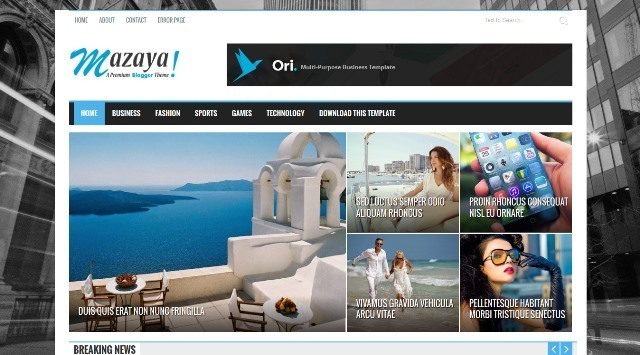 Mazaya is a Complete Blogger theme for a news or magazine site with the focus of attracting and keeping visitors on their site. 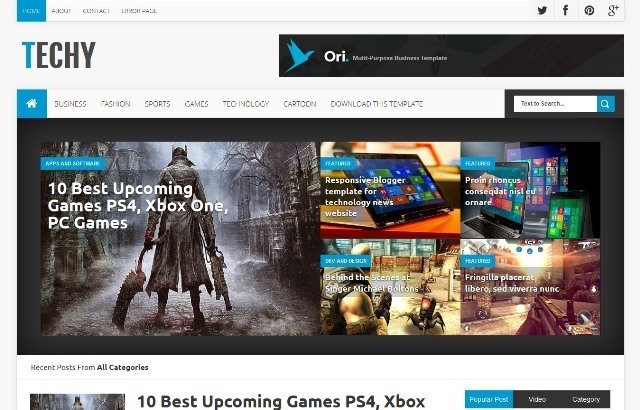 Mazaya is a elegant and professional news theme which is great for anyone looking to display a lot of content in a clean and user friendly manner. Features are Responsive, Fast Loading, Breaking News, SEO Friendly, Drop Down Menu, Slider, Clean Layout, Simple Design and Browser Compatibility. 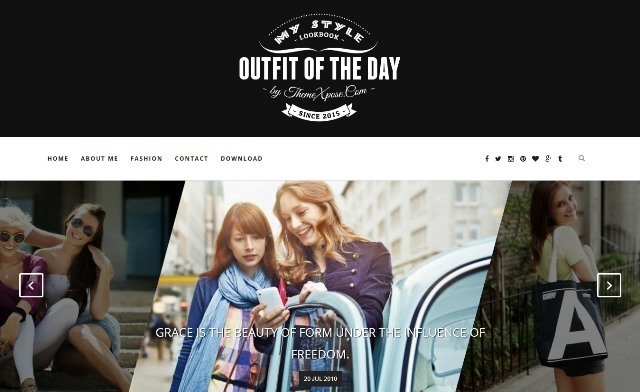 Style Blog is a Complete Blogger theme for a news or magazine site with the focus of attracting and keeping visitors on their site. It uses the best clean SEO practices, and on top of that, it’ s fast, simple, and easy to use. 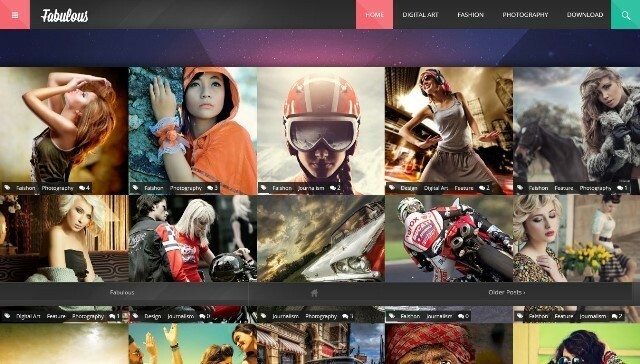 Social Mag is a based on Modern UI with futuristic interface. With features that makes it social media friendly. Features are Responsive, Featured Post Area, Featured Posts Slider, SEO Optimized, 1 Sidebars, Right Sidebar, RSS Email subscription widget and more. 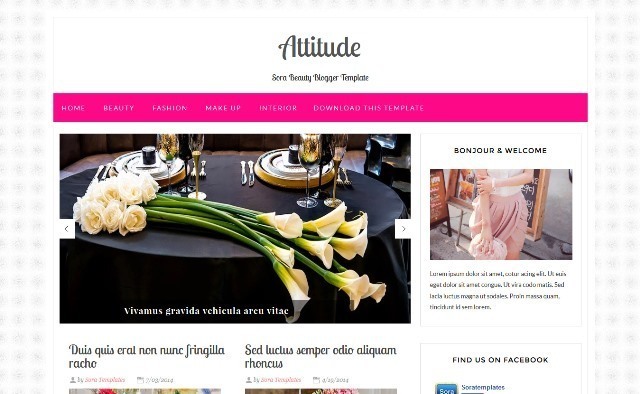 Attitude is a Beauty Blogger Template created specially for makeup blogs, hair blogs, fashion websites & general feminine blogs. Features are Responsive, Social Buttons, Slider, 3 Columns Footer, Fast Loading, Ads Ready, SEO Friendly, Drop Down Menu, Clean Layout, Simple Design and Browser Compatibility. Creative is a beautifully minimalistic portfolio Responsive Blogger template. Present your work in a professional manner with a timeless design. Its is perfect for artists from any discipline, web, graphic, motion, print, art, anyone that needs a showcase. 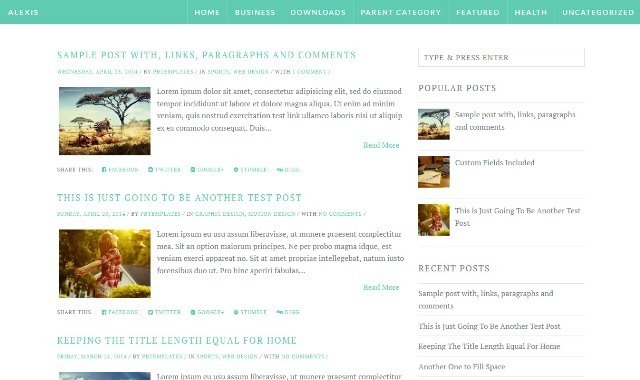 MineZine is a fully responsive 2 columns blogger theme. 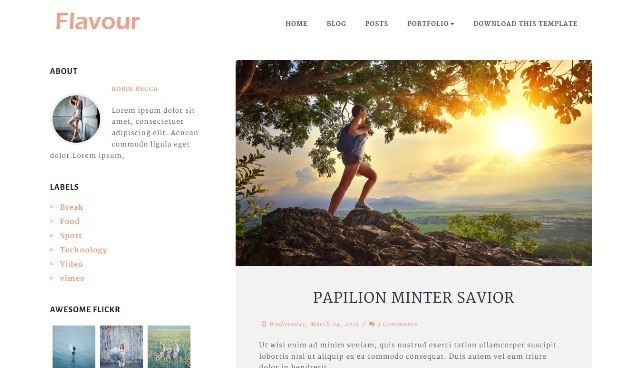 MineZine blogger template has social network profile links in header, custom search box, post share links, google fonts, Icon fonts, auto post summaries, related posts, right sidebar, 3 columns footer area and more. 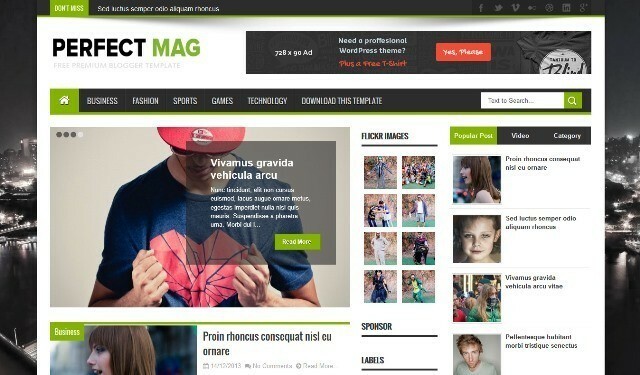 FastMag is a responsive blogger template for writers, journalists and photographers. Features are Responsive, Featured Post Area, SEO Optimized, 1 Sidebars, Right Sidebar, Ads Friendly, SEO Optimized, 3 column footer, multi drop-down menu and more. 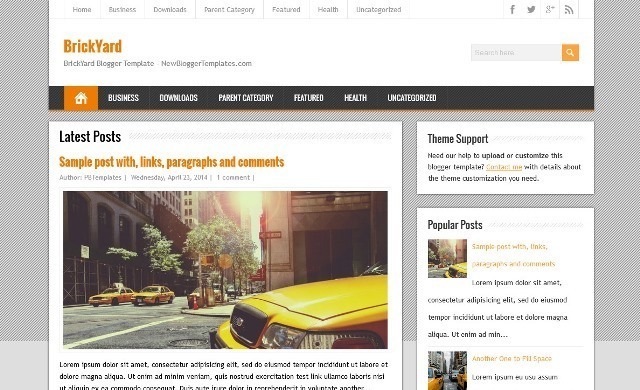 Max Blog is one of a class in the series of blogger templates. Beautiful, sleek, well crafted with hands of very experienced designers. Features are Responsive, SEO Friendly, Grid Layout, Customised Popular Post, Page Navigation with Title and Thumbnail, Page Numbering, Minimalistic, Fixed Navigation Menu Bar, Social Sharing and Browser Compatibility. 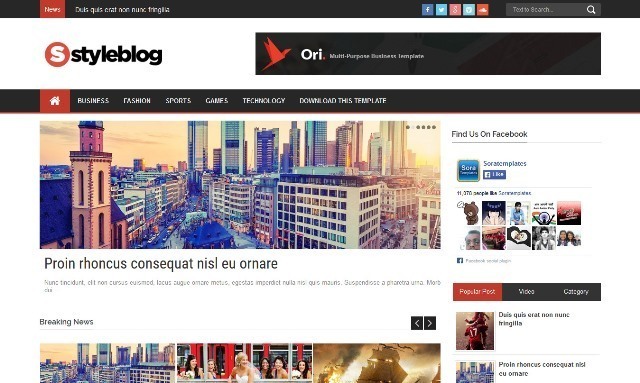 Signature is a complete Blogger theme for a news or magazine site with the focus of attracting and keeping visitors on their site. It uses the best clean SEO practices, and on top of that, it’ s fast, simple, and easy to use. Alexis is a mobile responsive, flat design Blogger theme with a touch of minimalism. 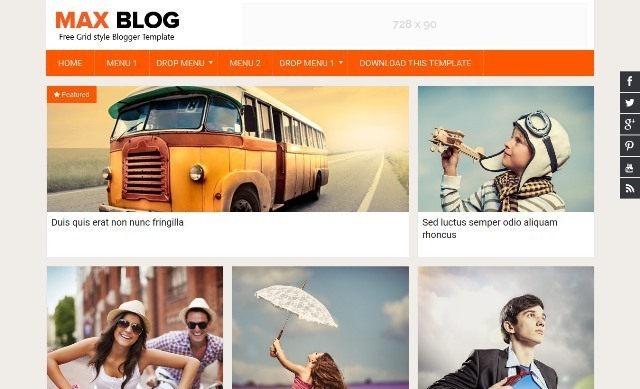 Alexis blogger template comes with 2 columns, right sidebar, auto read more, related posts, sharing buttons, Google fonts and more. Techy is specially designed for those, who are looking for a template in order to share the latest news, discoveries, articles, tutorials, some hot tips with your readers. Features are Responsive, Seo Friendly, Social Buttons, HTML5 & CSS3, Ads Ready, Fast Loading, Drop Down Menu, Clean Design, Clear Layout and Browser Compatibility. 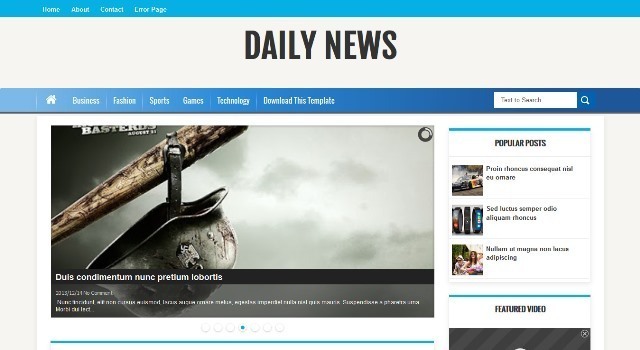 Fantasy Mag is a Minimalistic Blogger Template with Responsive layout and suited for all blogs. It’s design with modern style, simple color combination, clean and modern look, SEO Optimized, and has been built by using some of the most popular current design trends. Timeline is a revolutionary Blogger template, intended to showcase your work, blog or interests in an unique modern way, using the trendy timeline look. 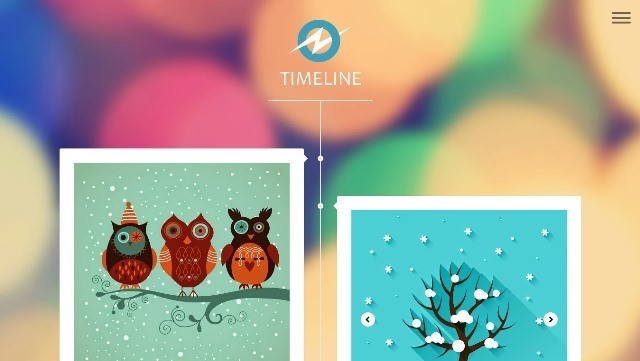 Timeline has Fully Responsive Design, Auto resize thumbnail image, Optimize SEO, Related post widget Ready, Threaded Comment, Ads Ready, Custom Error 404 Page, Compatible with major browsers and more. Cinema is a unique Entertainment blogger template which is suitable for any type of cinema, movie promotion, theatres, blogs and movie communities no matter the size. Cinema has Responsive, SEO Friendly, Social Buttons, Supports Video, Ads Ready, Slider, Clean Design, Clear Layout and Browser Compatibility. 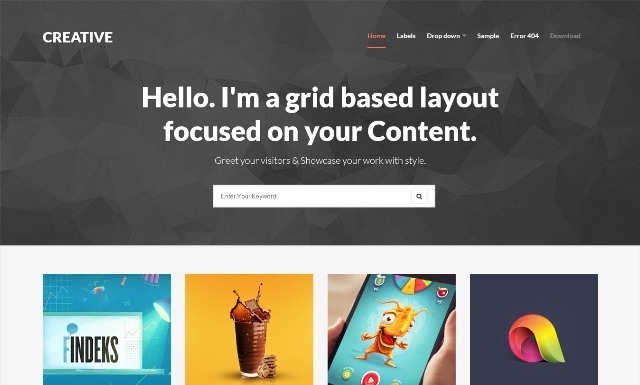 BrickYard is a Responsive Blogger Template with 1 Sidebar, 2 Columns, 3 Column Footer, Fixed width, Minimalist, Responsive, Right Sidebar, Top Navigation Bar and more. 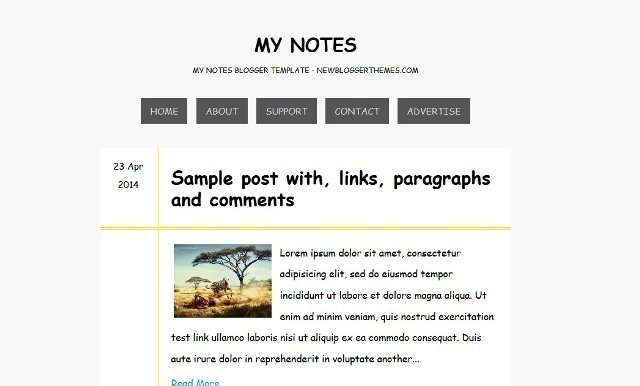 My Notes is a Free Responsive Blogger Template with 1 Column, Fixed width, Responsive, Minimalist, No Sidebar, Top Navigation Bar and more. 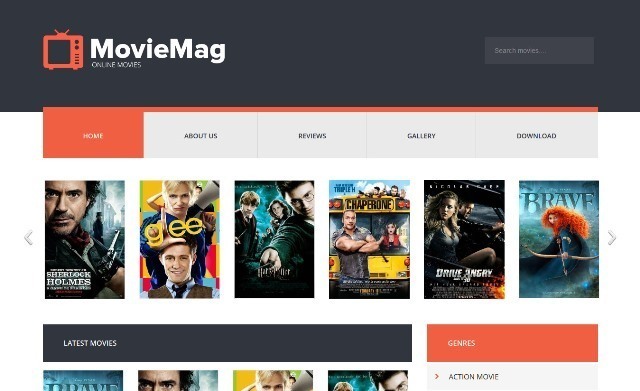 Movie Mag is a Entertainment Blogger Template which is suitable for any type of Cinema, Movie Promotion, Theatres, Blogs and Movie Communities no matter the size. Movie Mag comes with a separate framework that is built with latest technologies like CSS3 and HTML5. You can buy facebook USA page likes and buy facebook live video views here.